I recently installed pfsense on a pc engine APU.2C4 mini-server. 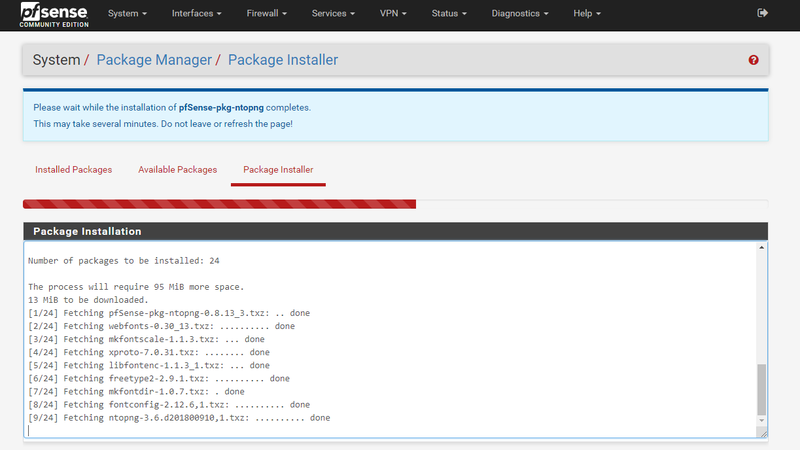 It is now my network router and it’s been working like a champ. 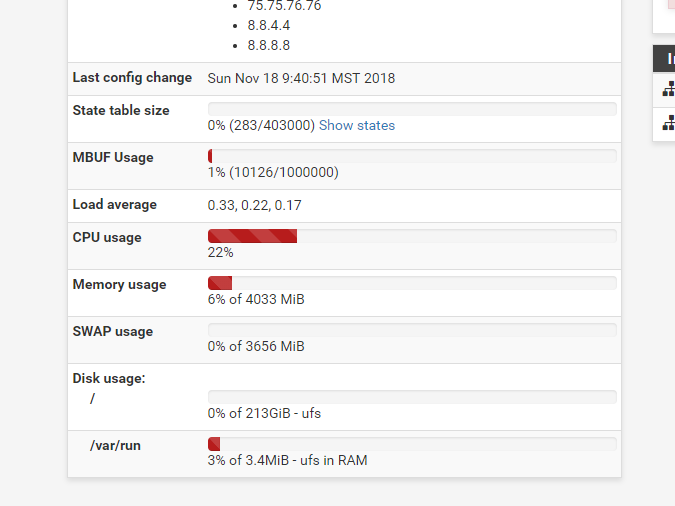 Now I want to start customizing it some more. 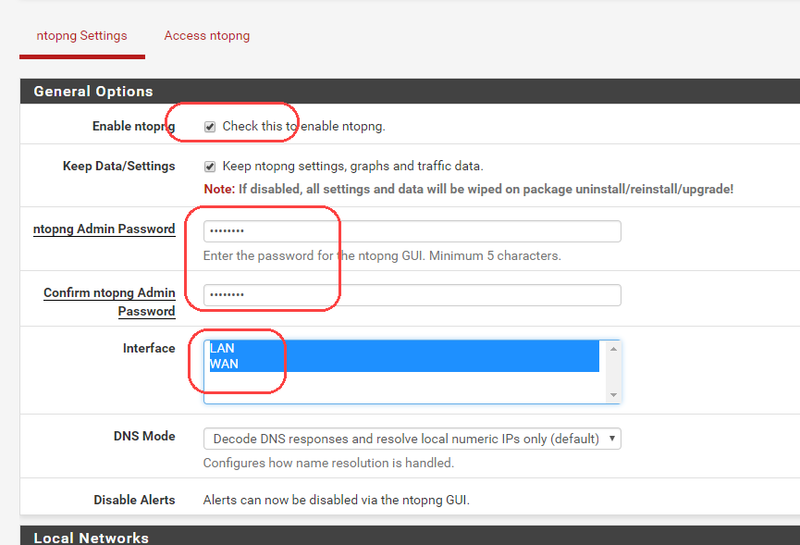 First up I want to be able to monitor network traffic. 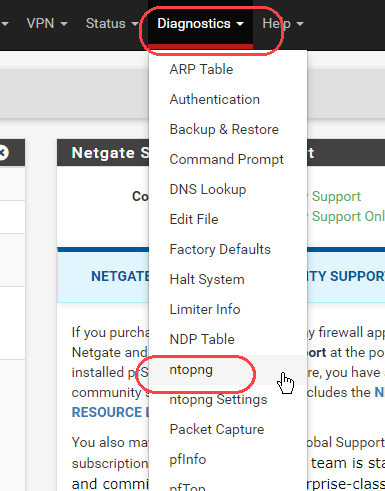 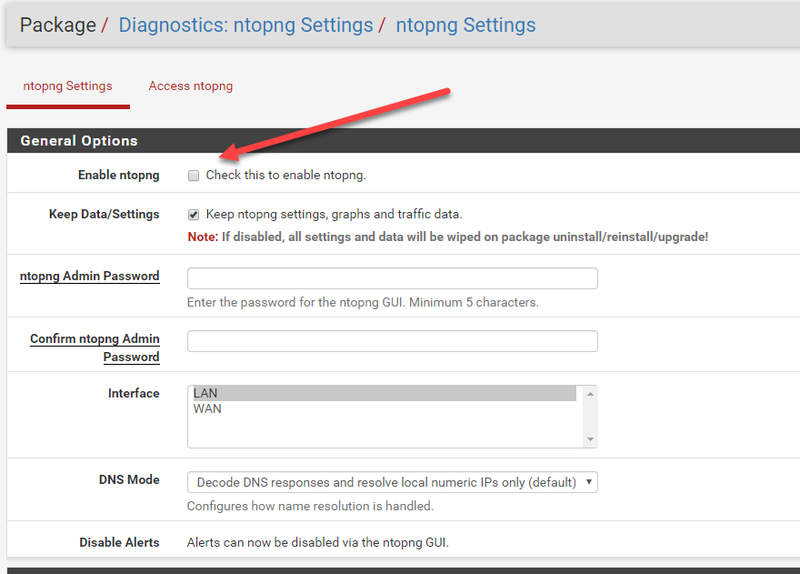 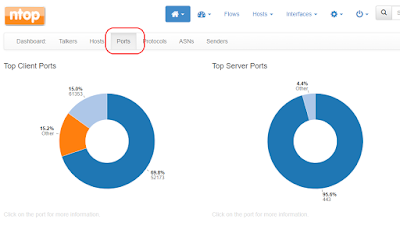 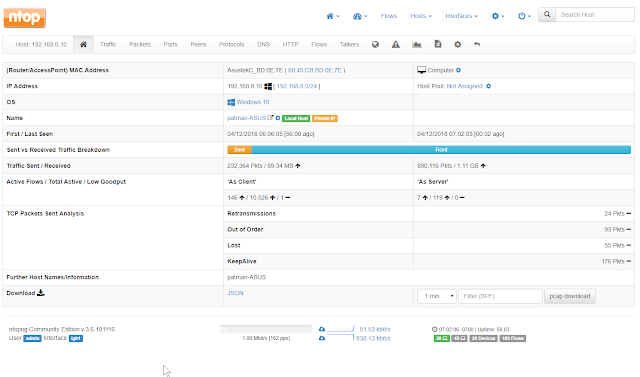 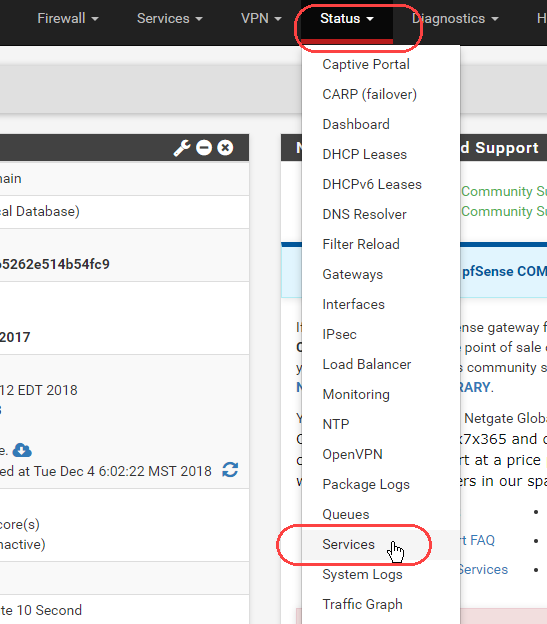 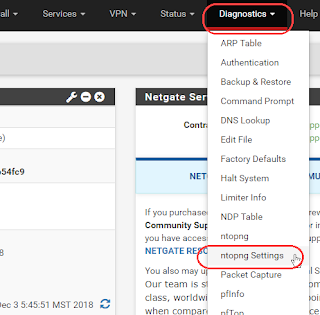 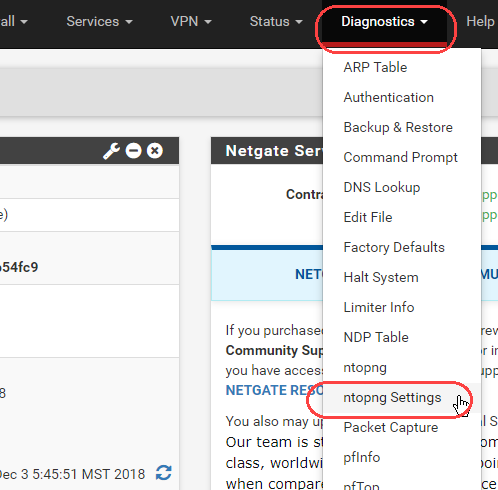 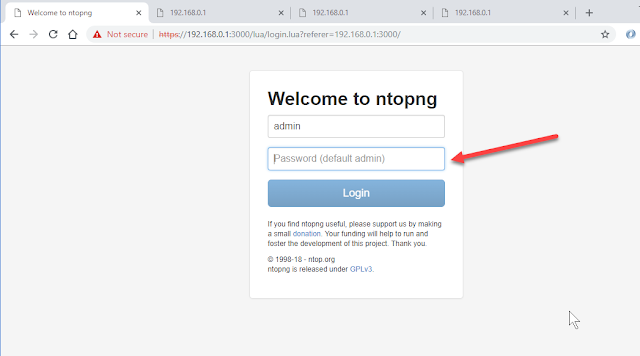 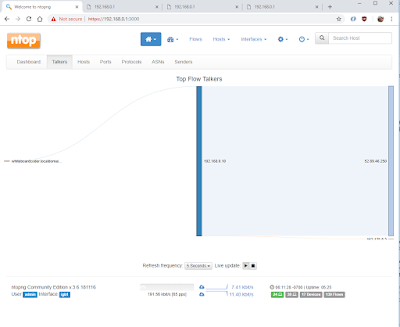 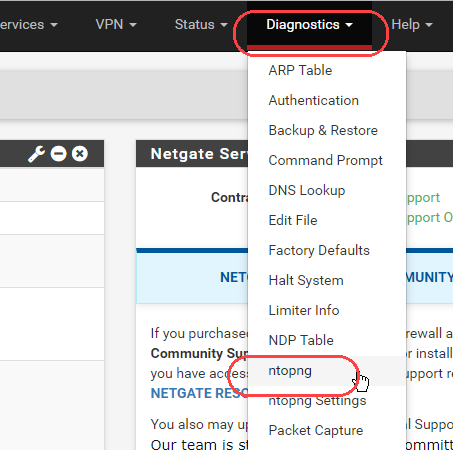 Looking around I found ntopng https://www.ntop.org/products/traffic-analysis/ntop/  as a tool I can install in pfsense and get the data I need. In these notes I am going to record how to install it and use it. 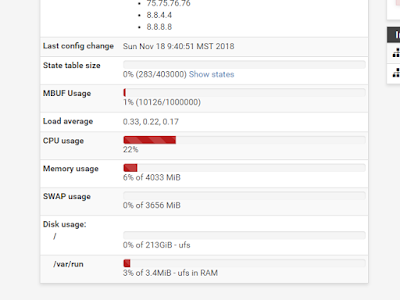 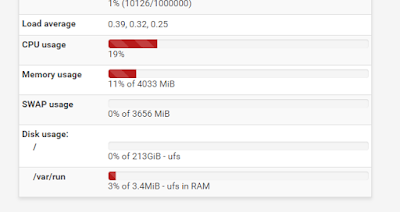 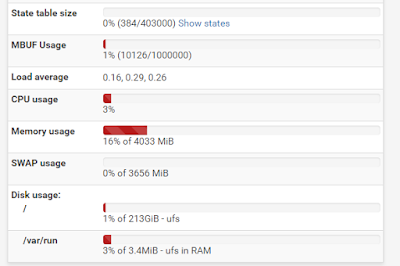 A friend of mine is wondering how much CPU resources this tool may take up so I am going to record what my current load is before installing it and do a look at the load after. 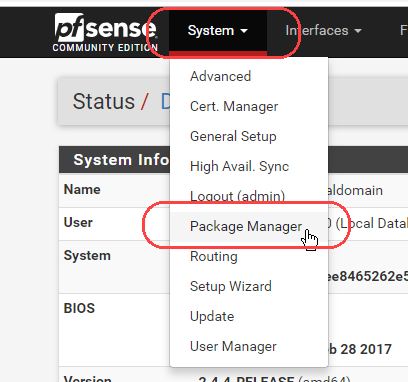 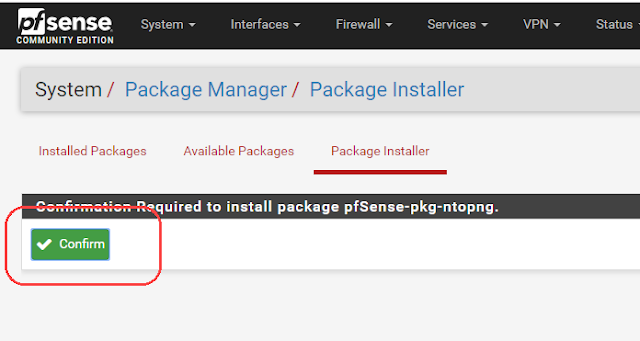 Currently I have a basic install of pfsense. Enter ntop and click search. 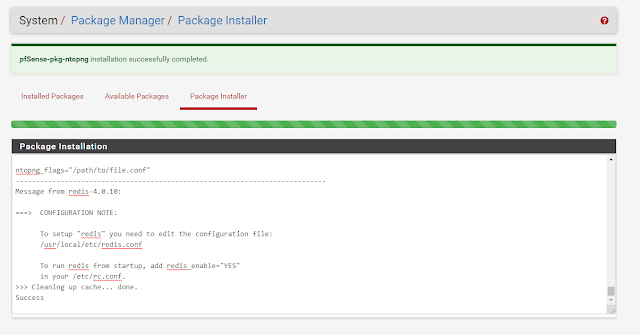 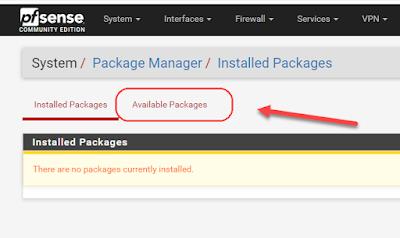 Click on Installed packages and you should now see that it is installed. 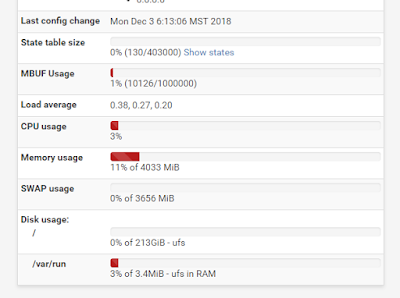 At idle the CPU usage has not changed its still 3%. 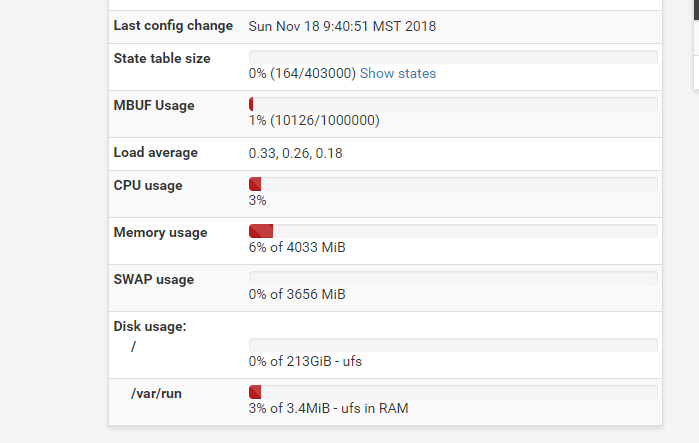 But the memory usage went up to 11% from 6%. 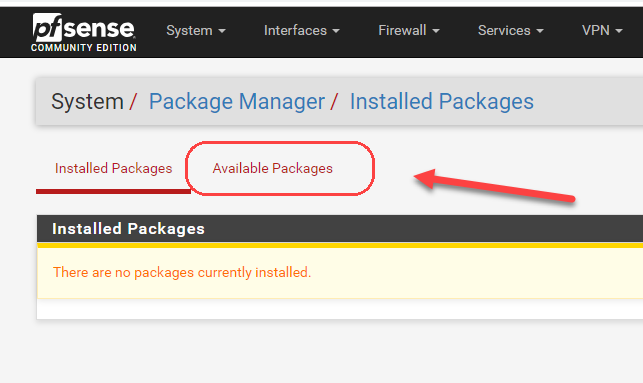 It’s not yet enabled. 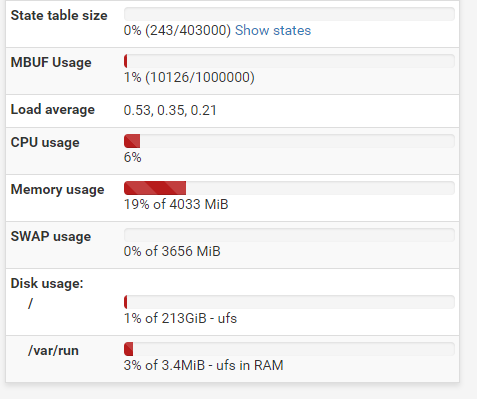 I wonder how that will effect CPU/Memory when it is? 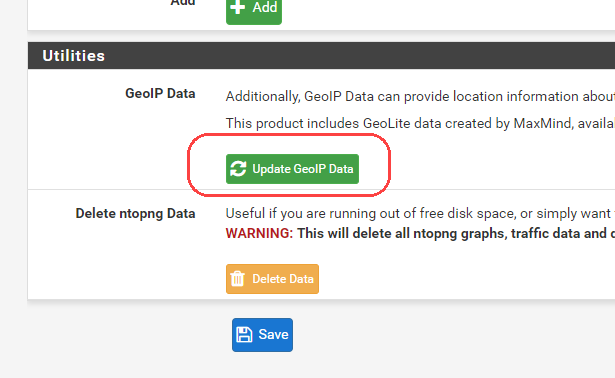 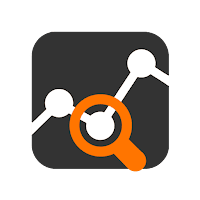 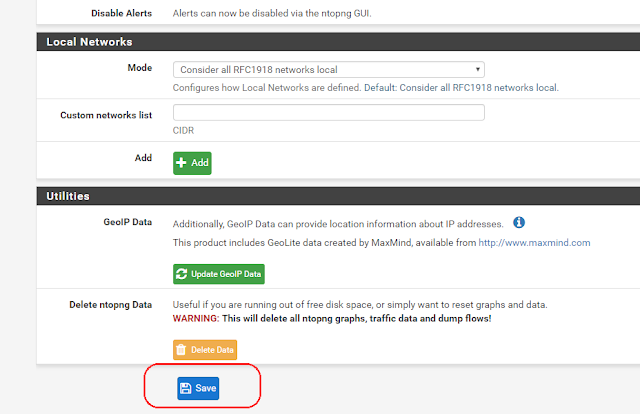 Click Update GeoIP Data to grab fresh Geo data. At idle still 3% and Memory Usage at 16% … so that went up a little. 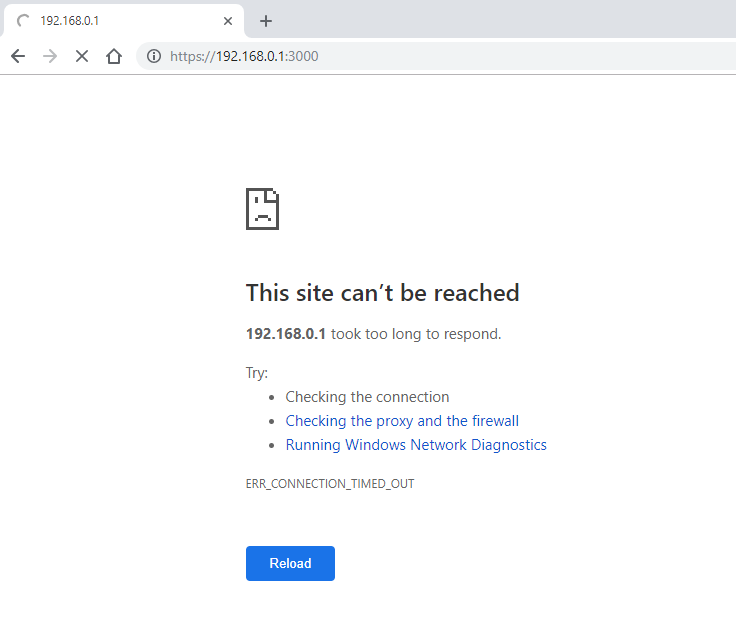 Maybe it is being blocked? 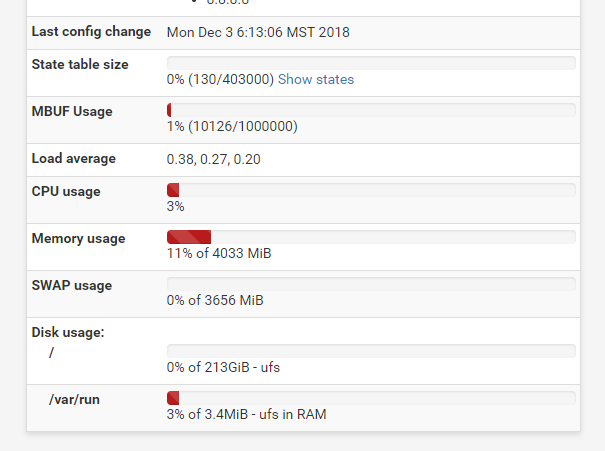 Hey it’s not even running! Let me start the service up. Hey an improvement. 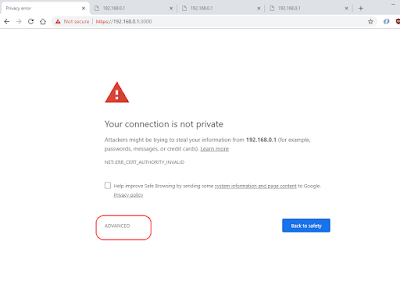 Click advanced, in chrome to bypass and open the page. 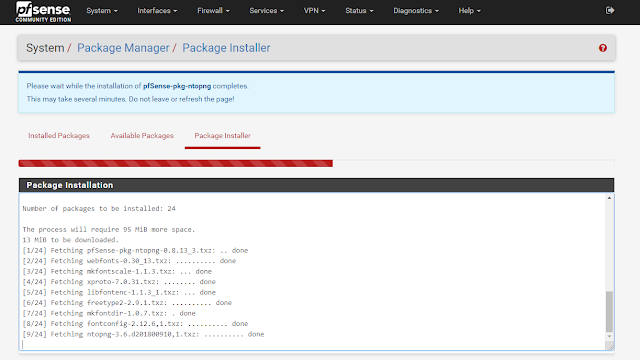 First let me grab the current IP address of the box I am on using a cygwin command. 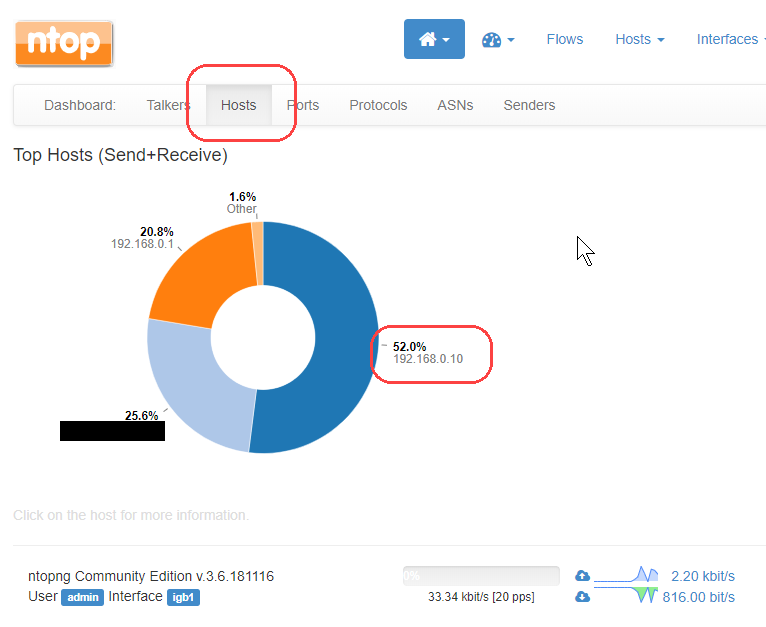 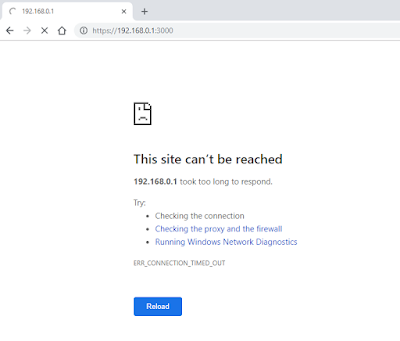 If I click on hosts I can see which Host is using the what % of bandwidth currently. This tool give you a lot. 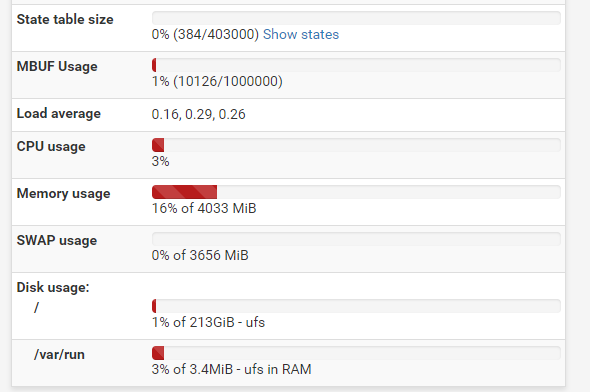 This is a Swiss army knife I would suggest watching the videos I listed to get a better idea on what you can do.